Amid all the hubbub about human rights, democracy and general decency in the wake of Chinese president Xi Jinping’s visit to Britain, it’s nice to see that British prime minister David Cameron found the time to take his counterpart to the pub. 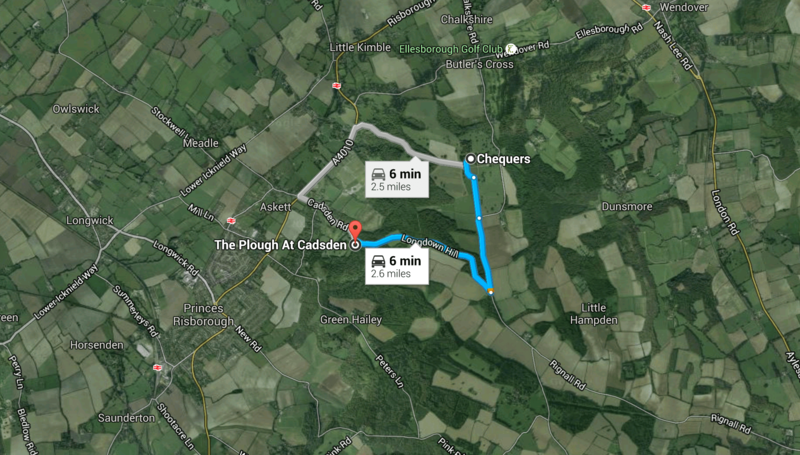 The pub in question, the Plough at Cadsden, is just a short drive from Chequers, the official country residence of the prime minister. Located to the east of Oxford in Buckinghamshire, the pile is often used to woo important foreigners with the kind of pastoral atmosphere that in no way resembles modern British life. Cameron infamously left his young daughter Nancy at the pub by mistake back in 2012, an incident he apparently referenced in his meeting with Xi. He also treated the Chinese president to the pretentious fish and chips beloved of gastropubs nationwide. Previous Article← Was the Star Wars VII boycott set up by white supremacists or trolls?